The Drakelow Tunnels Preservation Trust was originally established in 1997 as the "Friends of Drakelow Tunnels" this was changed in 2000 to its current name. The goal of the Trust is the same as it was back in 1997, to restore the entire complex to a fully operational condition. The Drakelow Tunnels Preservation Trust is a non-profit organization, any donations made to the Trust are used to buy tools and essential supplies needed to restore the complex. In 1997 the "Friends of Drakelow Tunnels" was formed, the "Friends" comprised of a small group of volunteers who carried out basic maintenance of the complex and gave tours of the Tunnels 2-3 times a year. 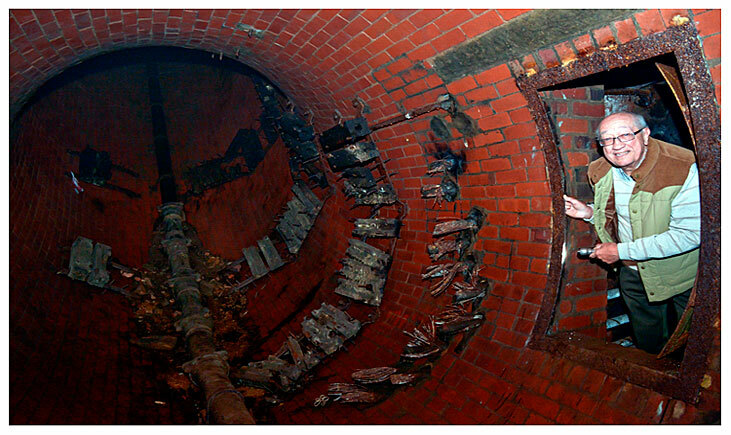 In 2000 the "Friends of Drakelow Tunnels" were replaced by the "Drakelow Tunnels Preservation Trust". Since 2000 the "Trust" has run regular work parties at the weekends in order to speed up the restoration. The "Trust" is made up from skilled professionals, tradesmen and members of the public, who give up their own free time to restore the Tunnels, so others can visit this once highly classified top secret installation. Nuclear Bunker. Although many documents still remain Top Secret to this day, information is slowly being released enabling the "Trust" to accuratley document the history of Drakelow. 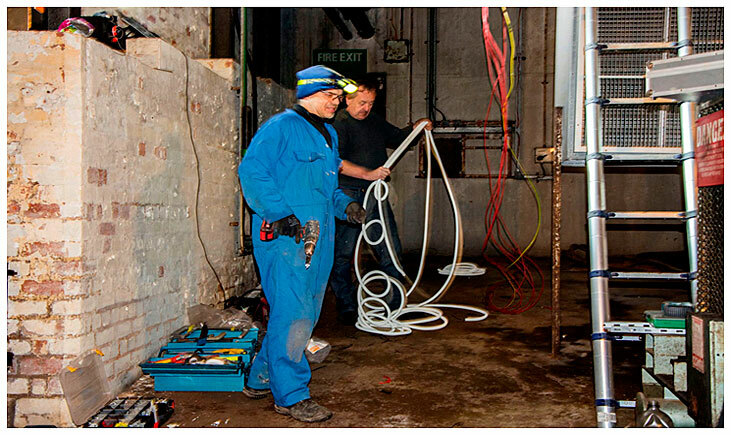 Volunteers, Mr. Andrew Chandler & Mr. Mike Arnold, installing new wiring in the RGHQ Generator Hall. Photo courtesy of Miss Helen File of Ellie Brook Photography. DID YOU WORK AT DRAKELOW ? Although our researchers are constantly on the look out for new documents and history on the complex, finding people who worked at Drakelow still remains one of our biggest hurdles. From time to time we have been lucky enough to have been contacted by former employees who once worked at Drakelow during the Rover Shadow Factory era and even the more secrative RSG and RGHQ era. These people who have come forward have been able to give an insight into the day to day running of the complex, and even fill in some vital history of the site that was previously unkown to us. Mr. John Shutts returns to Drakelow after 71 years. Mr. Shutts was 15 years old when the Labour Exchange sent him to work at Drakelow as a Bricklayer. The Vent Shaft, Mr. Shutts helped build in 1942. Photo courtesy of Mr. Michael Scott. HOW DO I BECOME A VOLUNTEER - DO I NEED ANY SKILLS ? To become a volunteer is easy, all we ask is that you are willing to give up some of your free time. Skills are not needed to become a volunteer, although skilled people such as electricians, air conditioning engineers, mechanics, joiners, surveyors, damp proofing engineers and even painters & decorators are most welcome. So if you dont mind giving up a few hours of your time to do some unpaid volunteer work, helping to restore an important piece of British history, please drop us a line. We would love to hear from you. 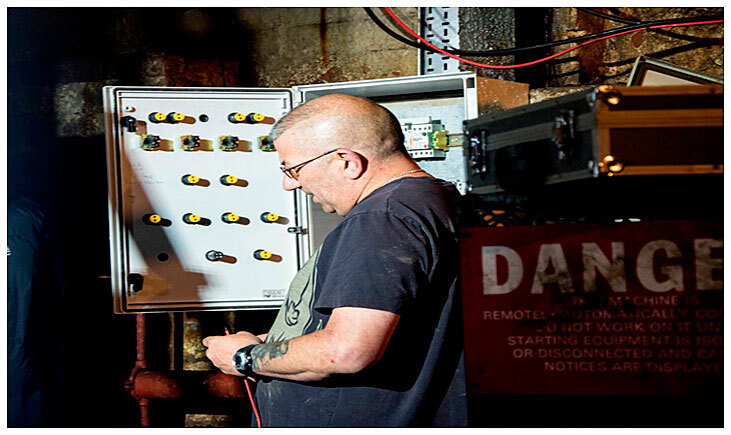 Volunteer Mr. Chris Wilkins, installing the new control panel in the RGHQ Generator Hall. Photo courtesy of Miss Helen File of Ellie Brook Photography. MATERIALS NEEDED - CAN YOU HELP ? We desperatley need help with materials to restore Drakelow Tunnels. Sadly Drakelow has never recieved any form of funding and has relied solely upon the proceeds of the Open Days & Private Tours, genourosity of members of the public, local businesses and national companys, to help restore the complex. This lack of funding is sadly why the complex is not finished. So, If you are a good samaritan, local business, Dulux or even BP, please feel free to contact us. Any help you can give us will be greatly appreciated. Wheel Chair Ramp x3 (Folding ones) - for Disabled Access. Diesel - for the fuel tank which supplies the two 147KW generators needed to run the lights, air con and extractors. Ceiling Panels - for the BBC Studio, Government Offices and Client Equipment Room. Communications - Creed 7B Teleprinters, Perforating Machines, Puma Teleprinters, Early BBC or APPLE computers, MSX Units, ECN equipment. Radio Equipment - CONRAD, Marconi radio equipment, ROC equipment - WB1400 carrier reciever etc. Wire Cable - for Lighting. Bunk Beds & Mattresses- for Dormitories. Office Equipment, Tables, Chairs & Lockers - for Government Offices. STET or White Waterproof Paint - for Tunnels. Telephones, Switchboards PBX Style & Exchange Equipment - for Client Equipment Room. Any help that you can give is greatly appreciated regardless of quantity.